Arachnophobia is the intense fear of spiders, one where the fear factor is greater than the risk of actually being harmed, and it’s one of the top ten phobias in the world, but here’s the thing — your risk of serious injury or death from a spider bite is pretty small, even with poisonous spiders. Most spiders can’t even penetrate human skin, and even if they do, the majority are no worse than a bee sting or mosquito bite. Even if the spider is poisonous, the odds are in your favor that it was a “dry bite” which means that the spider didn’t inject you with venom. What’s more, they aren’t looking to bite you in the first place. You’ve got to venture into their territory, sticking your hand into their web before they’ll grab ahold to stick you. What you really need to be afraid of is mosquitoes. These little bloodsuckers seek you out, hunt you down, and stalk you at every turn. Their entire adult lifecycle revolves around sticking it to you, and they can sniff you out (literally) from 75 feet away. In my 50+ years, I cannot say with absolute certainty that I’ve ever been bitten by a spider, but I’ve sure been bitten by thousands of mosquitoes. It’s bad enough to have bugs flying up your nose and into your eyes, buzzing all around your ears, biting you and making you itch like crazy, but the mosquito facts are even more frightening. A mosquito bite is far more likely to make you sick than a spider bite, and mosquitoes carry some of the world’s most deadly diseases. Millions of people die every year from mosquito bites, and you’d be surprised at how close to home some of these deadly mosquitoes live. They can infect humans with yellow fever, malaria, dengue fever, West Nile virus, Rift Valley fever, meningitis, LaCrosse encephalitis, Western equine encephalitis, Venezuelan equine encephalitis, Japanese encephalitis, St. Louis encephalitis, and elephantiasis, not to mention injecting deadly heartworms into your dog! Several of these diseases exist in the United States, including the horrific equine encephalitis which can cause convulsions, coma, and even permanent brain damage, or death — and there are no vaccines. If one of these disease-carrying mosquitoes is flying around, what are the chances that you’ll get bit? Some people smell better to mosquitoes than others, and tend to get bit more. If you’re one of those people (like me), you should be afraid. A little girl by the name of Stephanie Finell got a few mosquito bites while on vacation, and it changed her life (and her family’s) forever. I am the narrator for the audiobook version of her true story, and I’ll tell you, this is one of the most heart-wrenching stories I’ve read. I actually had to take breaks from narrating to cry, this story was so powerful. It’s also an incredibly inspirational story, because it so eloquently demonstrates the power of the human spirit to overcome adversity. This little girl suffered violent convulsions, coma, and permanent brain damage, all from the bite of a mosquito, and the doctors advised that she be institutionalized. Her mother, bless that incredible woman’s heart, refused to lock her daughter away. 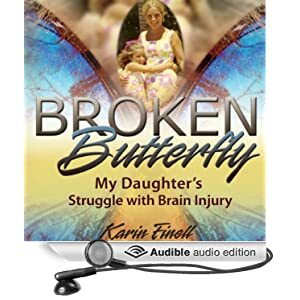 Broken Butterfly: My Daughter’s Struggle with Brain Injury by Karin Finell is their story — a tale of love, and courage, and overcoming every odd you can imagine. 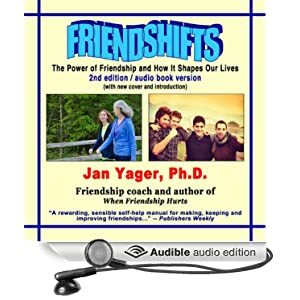 Some reviewer blasted my narration of it, which breaks my heart because this story is so important to anybody who lives with a brain-damaged person, or who is struggling to live with severe injuries or illnesses in a child, or anyone that just wants to read how blessings can surprise you in the most unexpected ways. It’s a story of triumph over adversity, and you will completely fall head over heels in love with this little girl. Stephanie Finell will bless you with her ability to embrace the world, and share her perception of the world with you. She took me to places that I never expected to go, and it’s definitely a journey worth taking. The print version has gotten a solid five stars from everyone who’s read it to date, so if the audiobook doesn’t appeal to you — meaning you think you’ll hate my voice 🙁 — then for heaven’s sake get the Kindle book or hardcover book! 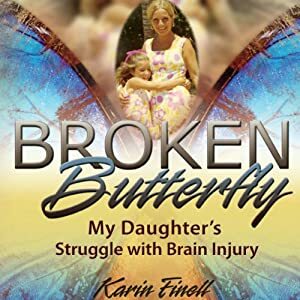 Just don’t walk away from the story of Stephanie Finell, Broken Butterfly! This entry was posted in Body Business, Books, Entertainment, Insects, Nature, Stickies and tagged afraid of spiders, arachnophobia, audio book, audiobook, brain disease, brain illness, brain injury, brain sickness, broken butterfly, diseases from mosquitoes, diseases from mosquitos, fear factor, fear of spiders, hate mosquitoes, hate mosquitos, hate spiders, inspiration, inspirational, karin finell, mosquito, mosquito diseases, mosquitoes, mosquitos, scared of spiders, spider, spiders, stephanie finell, true story. Bookmark the permalink.